At a time of worldwide change, conflict and uncertainty, humanity’s most urgent need is to find a unifying vision. Such a vision unfolds in the Writings of Bahá’u’lláh, the Founder of the Bahá’í Faith. Bahá’u’lláh teaches that religion is the most powerful force for the transformation of society and individuals. Throughout history, God has sent a series of Divine Educators to guide humanity. Bahá’ís believe that Bahá’u’lláh is the most recent of these Divine Educators, and has brought teachings suited to this age. Humanity now has the potential to move beyond conflict and disunity into an era of global peace. Bahá’u’lláh’s teachings contain a vision of a just, peaceful and prosperous society, and the tools that enable that vision to become a reality. Building a just and peaceful society requires the spiritual growth of individuals. This can be achieved through prayer, meditation, and service to humanity, especially in our local communities. E te tama a te wairua! Ko Tāku tohutohu tuatahi ko tēnei: Kia urutapu, kia aroha, kia hahana tō ngākau, kia riro i a koe te mana tawhito, kāore mō te turaki, kāore mō te ngaro. In neighbourhoods across New Zealand, Bahá’ís are striving to bring the vision of the oneness of humanity into reality. All individuals, of whatever race, gender, religion or social status, are invited to contribute to this effort. Bahá’ís see the young as the most precious treasure a community can possess. In them are the promise and guarantee of the future. Yet, in order for this promise to be realised, children need to receive spiritual nourishment. The Bahá’í community offers classes for the spiritual education of children and young teenagers. Worship is at the heart of the community life that Bahá’ís around the world are trying to bring into being. Devotional gatherings, often held in homes, bring family and friends together in prayer and meditation. This empowers them in their service in all aspects of their lives. To build a better world requires a growing number of people who have the skills and desire to serve their local neighbourhoods. Study circles are small groups that meet on a regular basis to learn how to walk the spiritual path with practical feet. The Bahá’í Faith has been in Aotearoa New Zealand for over a century. From its beginnings in the 19th century, the Bahá’í Faith has spread to every corner of the planet. In fact, it is the second most geographically widespread religion on Earth, with more than five million members in over 200 countries representing over 2,000 ethnic, linguistic and cultural groups. Bahá’u’lláh, the Founder of the Bahá’í Faith, spent most of His life unjustly exiled and imprisoned. His message of peace, unity and justice, and His teachings regarding the life of the individual and society, guide the worldwide Bahá’í community. Since 1913, a growing number of people have embraced the Bahá’í Faith and committed themselves to promoting its ideals of tolerance and peace in Aotearoa New Zealand. The Bahá’í community continues to actively promote a vision of unity in diversity in this country. 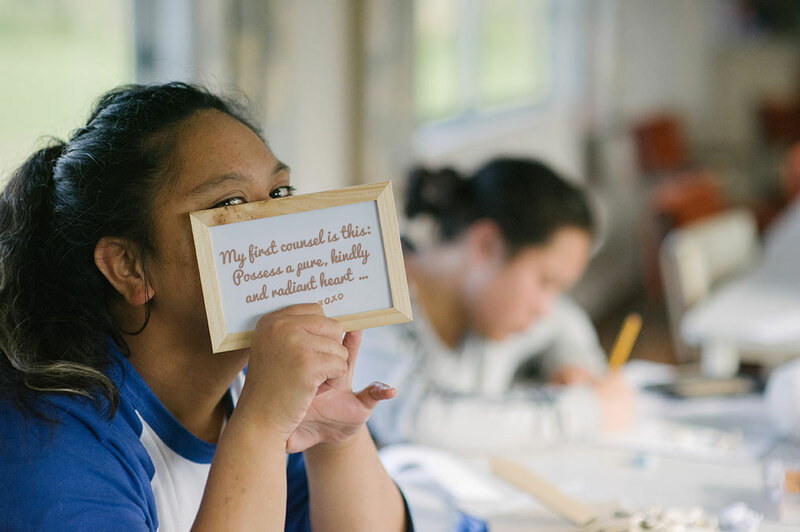 Tangata Whenua have played an essential role in the Bahá’í community for nearly 70 years, and Bahá’í prayers and holy writings have been translated into te reo Māori.